Join the entire community for the premier event of the fall season: Brews and Bites! 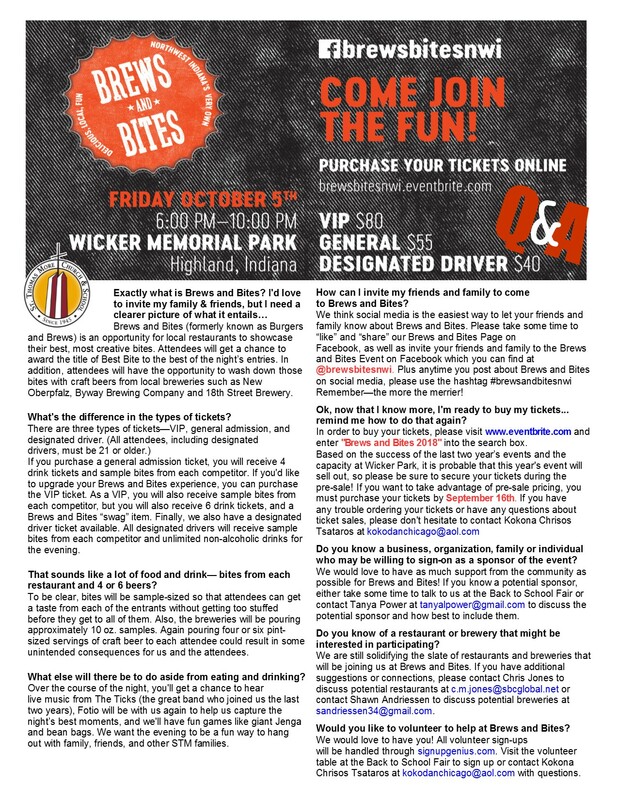 Taste delicious offerings from some of the area's best eateries and sample refreshing brews from local craft beer vendors while enjoying a beautiful fall evening in the heart of Northwest Indiana with a back drop of falling leaves, crisp air and the phenomenal sounds of live music by The Ticks. There's plenty to do, too. From a host of giant yard games to a fun photo booth, you'll experience a fantasic night from beginning to end! Friday, October 6, 2018 from 6:00 p.m. to 10:00 p.m.